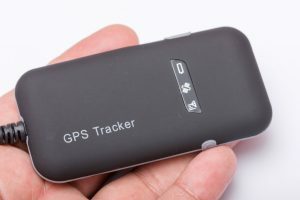 If you are on the lookout for the best GPS for hunting and fishing, do not worry because we got you covered. 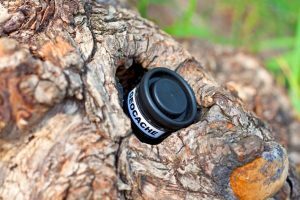 Exploring the outdoors is not easy, which is why there are many innovative devices that were invented to assist us in doing so. Yet, the vast selection of these devices can be quite overwhelming at times. 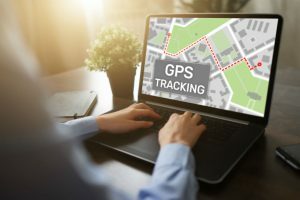 When it comes to choosing the best GPS device, there are many factors that should be considered before making the purchase. 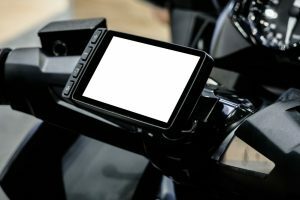 Among these include the speed of the GPS receiver, its display, the built-in base map, ease of operation, and the overall design. 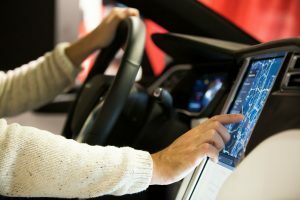 Additionally, there are also other features to think of such as Wi-Fi capability or an in-built camera. Nevertheless, it all starts with making sure that you know what your needs and preferences are exactly. In this way, we can get right on the track to finding the perfect model for you. For starters, check out our top three picks below. 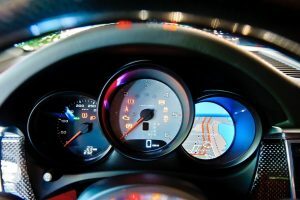 For years, this brand has been known all over the world as among the market leaders when it comes to GPS navigation. Their experts have carefully engineered and manufactured thousands of products for aviation, automotive, outdoor, and marine markets. In addition to that, they also have wearable devices that are taking the fitness industry by storm. 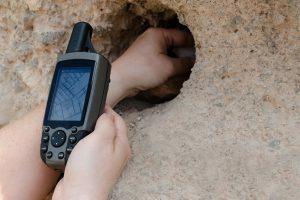 Inside every Garmin Striker 4 is a CHIRP 77/200 kHz transducer, which makes it possible to see the structure under the water clearly. It does this by sending a continuous flow of frequencies that range from high to low, which are then interpreted individually upon receipt. This process provides a wider range of information that results in a more accurate target separation. It can also be upgraded to a more high-functioning sonar technology to improve resolution in both shallow and deep depths. In combination with the highly sensitive GPS, the Garmin Striker 4 also comes with equipped with a waypoint map. 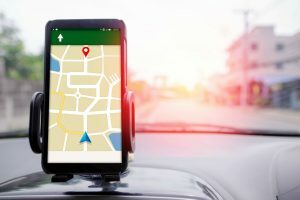 This ensures that you can easily view and mark your location for hassle-free navigation through docks, stumps, and brush piles. The Garmin Striker 4 is designed with a 3.5-inch display so you can monitor your speed. This is especially helpful when you are navigating through wake-controlled areas as well as when you are using different lures for a particular type of fish. The Garmin Striker 4 comes complete with a portable kit to allow you to take it anywhere with you. Whether you are kayaking, canoeing, or ice fishing, this device is your perfect companion. The package includes a built-in transducer cable management and storage as well as a rechargeable battery, charger, and suction cup mount and float. This device boasts maximum depth capabilities of approximately 1,600 feet in freshwater and about 750 feet in saltwater. This company boasts more than 40 years of experience in helping out recreational and professional anglers by providing them with state-of-the-art products. 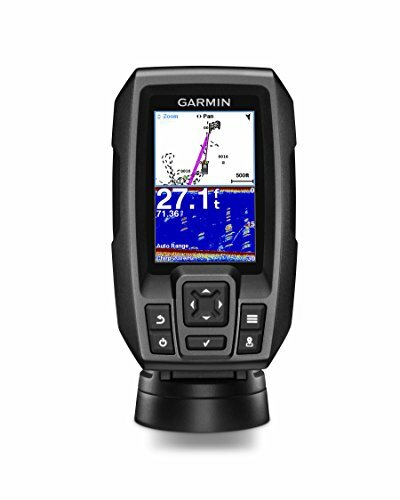 They got everything from fishfinders and marine radios to GPS systems and depth sounders, which are all available for purchase in over a hundred countries worldwide. 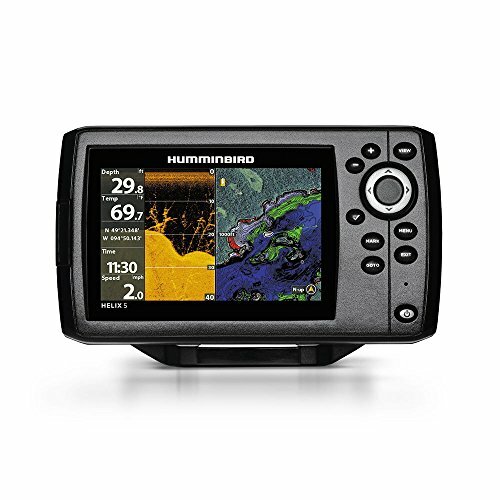 When it comes to fish-finding, the Helix 5 Chirp GPS G2 has got you covered. It comes equipped with a dual beam plus SwitchFire sonar technology that allows you to adjust your fishing conditions at the push of a button. This device has a built-in GPS/WAAS receiver that provides accurate readings that are within 2.5 meters. Right out of the box, you can go straight to finding your next big fish yet. The SmartStrike technology also ensures less time wasted on searching and more time fishing. In order to minimize space, this unit is carefully designed with a slim display and frame. Additionally, it also features maximum brightness at around 1,500 nits to ensure clarity even under direct sunlight. This device is designed to take your angling experience to the next level. It has a detailed base map of the entire United States coastline as well as over ten thousand lakes. It comes with everything from spot-soundings to navigation aids, depth contours, and points-of-interest. 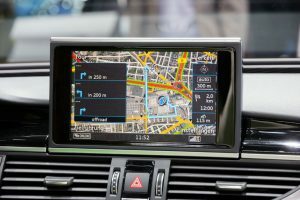 Every compatible unit comes equipped with eight hours of recording time for you to create your own detailed maps. This can include everything from depth to bottom hardness, depth contours, and vegetation. Since 1946, the experts from Simrad have been coming up with cutting-edge technology to make fishing more productive and enjoyable. On their long list of products, you can find anything from echosounders to marine autopilot technology for both professionals and hobbyists. Easily record your destinations through basic waypoint management using this device. 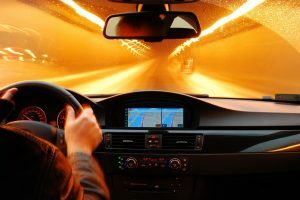 You can set hundreds of destinations and mark them with meaningful names to personalize your records. 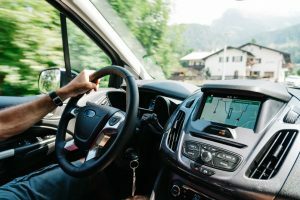 With this device, you can navigate with ease and confidence because of its wide range of cartography options. It is equipped with Insight, NV Digital, Navionics, and many other charts. The GO7 XSE can be customized to match your needs. Whether you prefer fishing, power boating, or different water sports, you can personalize this device to suit your goals. For those who enjoy power boating, this device can track and display vital information needed to plan a fun and safe journey. 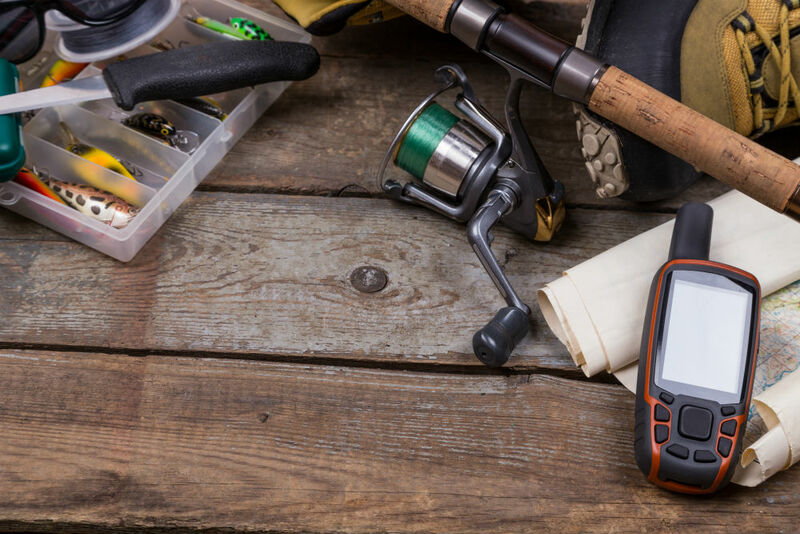 Like most marine technology devices, it is very hard to find the best GPS for hunting and fishing that can satisfy your personal goals and preferences. 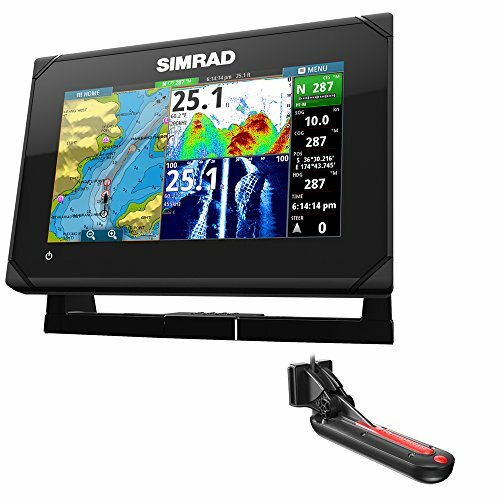 However, if you are looking for a GPS with a large screen display, then you should go for the Simrad GO7 XSE. Although not as well-known as the other two brands, Simrad is starting a build a name for itself in the marine industry because of its amazing products. The GO7 XSE has an easy-to-use, multi-touch interface that offers cartography support, sonar imaging, medium- to high-frequency transducer, and a built-in Wi-Fi connection feature.